Exposure to air pollution has long been associated with an increased risk of lung cancer, and a new study suggests it might also be tied to a faster death from the disease. Researchers examined cancer registry data on more than 350,000 people diagnosed with lung cancer in California and found patients who lived in communities with higher than average levels of air pollution typically died sooner than their peers who lived in places with cleaner air. Patients with lung cancer may be a new subgroup of people susceptible to the health impacts of air pollution, since exposures after diagnosis may impact how long they live, said lead study author Sandrah Eckel, a researcher at the University of Southern California in Los Angeles. Worldwide, lung malignancies kill about 1.6 million people a year, causing nearly one in five cancer deaths, Eckel and colleagues note in the journal Thorax. To assess how air pollution may contribute to these deaths, researchers examined concentrations of ozone, nitrogen dioxide and so-called particulate matter. Ozone is an unstable form of oxygen produced when various types of traffic and industrial pollution react with sunlight. Nitrogen dioxide is a byproduct of fossil fuel combustion that can contribute to smog. And so-called particulate matter is a mixture of solid particles and liquid droplets that can include dust, dirt, soot and smoke. All of these pollutants have been found to damage the lungs. Almost half the patients in the current study lived at least 1,500 meters (almost one mile) away from a major interstate highway, while fewer than 10 percent lived with 300 meters (about one-fifth of a mile) of one. Air pollution is usually worse closer to these highways. Researchers tracked health outcomes for patients diagnosed with lung cancer from 1988 to 2009 based on the level of air pollution near their homes. Patients were 69 years old on average at the time of diagnosis. More than half were diagnosed at an advanced stage when tumors had spread. Overall, the average survival time was about 3.6 years for people diagnosed with early stage disease and about four months for those with advanced tumors that had spread beyond the lungs. Air pollution appeared to have the greatest effect on survival for people diagnosed with early-stage adenocarcinoma, the most common type of lung cancer and the form that often afflicts non-smokers. In particular, patients diagnosed with early-stage disease had average survival times of about 2.4 years with high exposure to fine particulate matter, compared with 5.7 years with low exposure, the researchers report. For these early-stage patients, the risk of death from any cause during the study period was 30 percent greater with exposure to nitrogen dioxide, 26 percent higher with exposure to large particulate matter and 38 percent bigger with fine particulate matter, the study found. 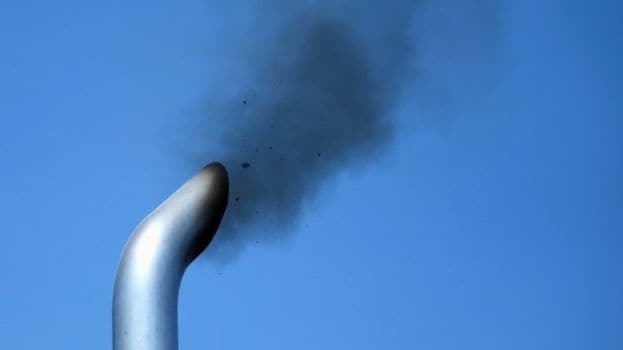 Taken together, this emerging research suggests that patients with lung cancer should consider reducing pollution exposure along with other lifestyle changes aimed at boosting longevity such as smoking cessation or dietary changes, Hart said. “There are a number of common-sense precautions that anyone can take to reduce their exposures to air pollution, including monitoring daily air pollution alerts and reducing outdoor activities – especially outdoor exercise – during high pollution periods, using air filtration systems while indoors, and using the recirculate setting of your car ventilation system while traveling in heavy traffic,” Eckel noted.